Linear pieces create the Branch series, a series which reflects the irregularity of nature. Linear pieces create the Branch series, a series which reflects the irregularity of nature, while taking on a contemporary feel. The ring is free-size, and the free-size feature has been carefully considered in the design. Although the ring can be adjusted, please specify your preferred US ring size. 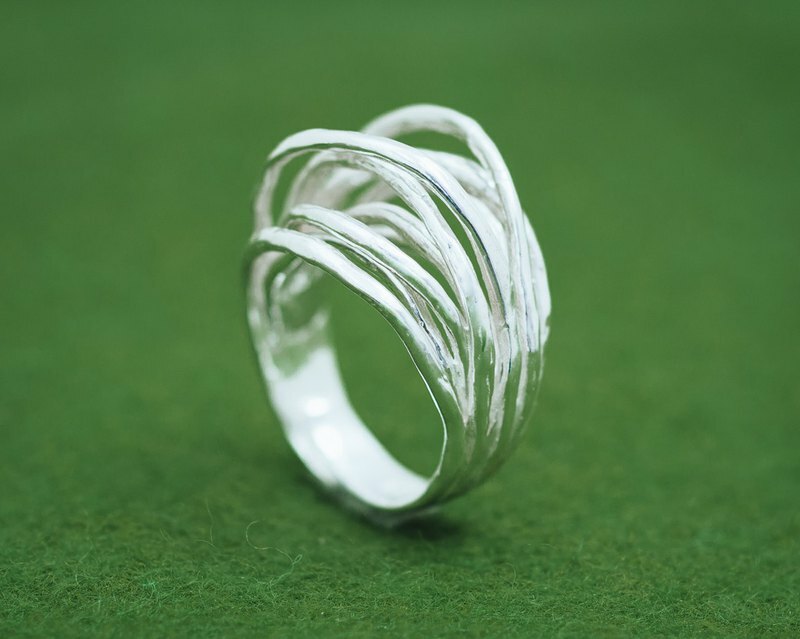 Material: Britannia Silver 958 Gold version here: https://en.pinkoi.com/product/rbspePHZ This piece is crafted in Britannia Silver 958, a high purity silver which retains its bright color (unlike sterling silver which tarnishes easily). We provide a small zip lock bag in which we recommend to store your piece/s to keep them away from the air. This will help to keep them bright for a long time.